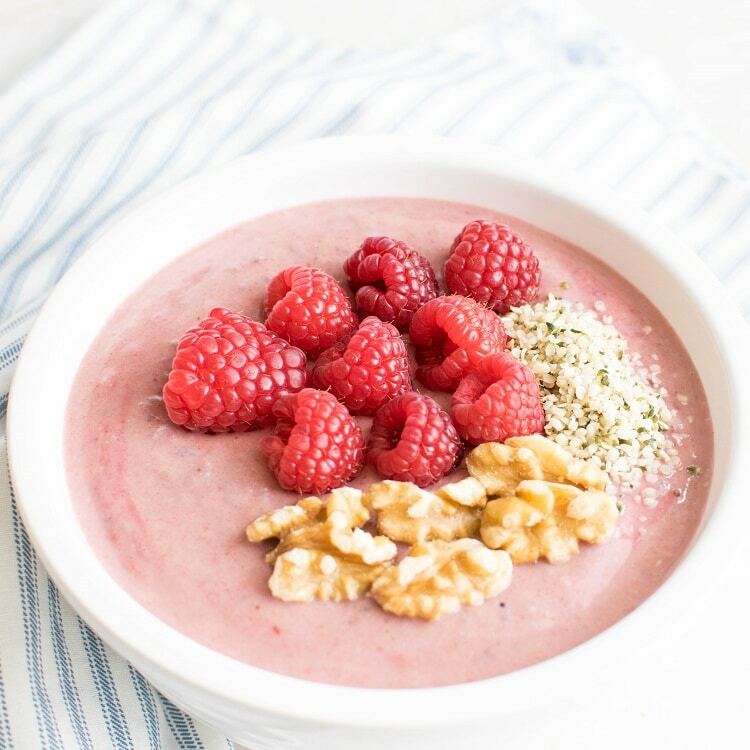 Chia Protein Raspberry Smoothie Bowl is an antioxidant packed breakfast! Its creamy, thick and is made of super foods. This bountiful vegan smoothie bowl is easy to blend and super delicious to the taste buds. 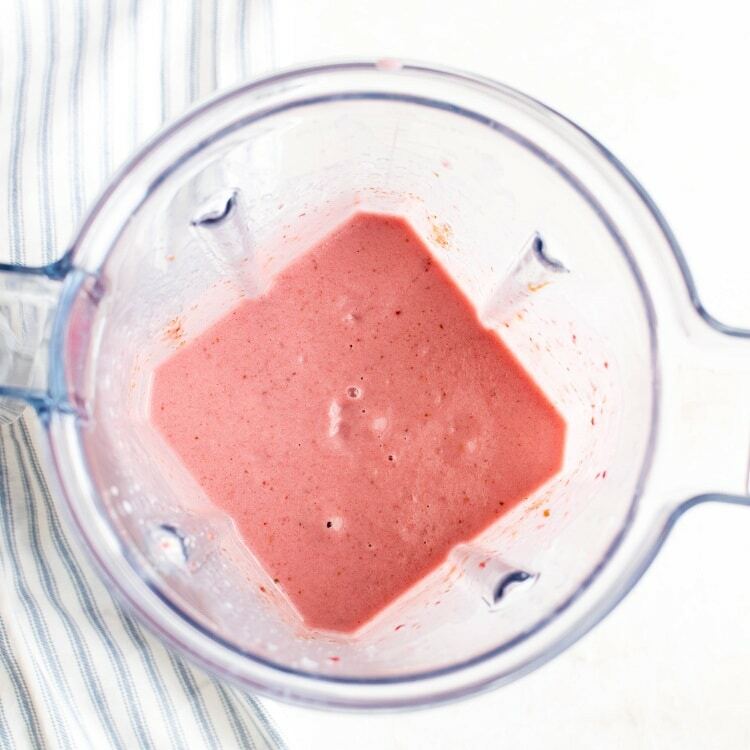 Have you ever thought of overnight smoothies? You bet! 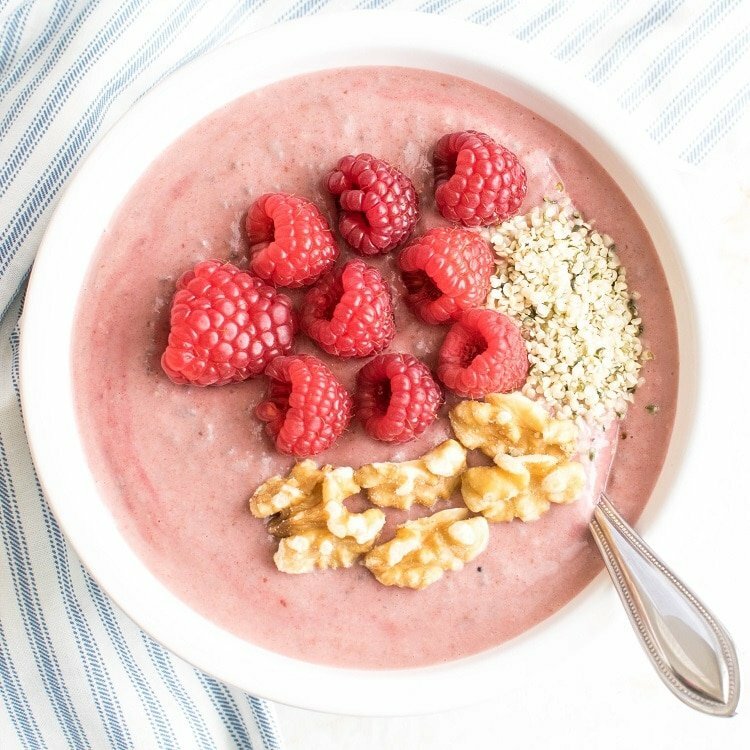 This vegan overnight smoothie bowl tastes amazingly delicious the next morning. I have been falling short of time with my infant and 1st grader hanging all over me. With all the chaos in my life this idea of overnight smoothie was stuck in my brains for a while. Why? Because, I starve in the mornings and I crave for some ready food that’s healthy too. After sleepless nights and rushed mornings, I am mostly out of energy even before the day starts. Therefore, this Chia Protein Raspberry Smoothie Bowl!!!!! It is at this time that this smoothie bowl came to me as a refresher. It perked me up with its fresh ingredients. Also, it provided me with ample energy and stamina to get through the busy day. I simply blended this smoothie in a high-power blender and stirred in chia seeds. Then, I placed the bowl inside the refrigerator and slept through the night. In the morning this smoothie bowl looked pretty and attractive at the first sight. Lastly, I added some toppings and my morning meal was ready. I was extremely delighted and satisfied with the smooth flavors in it. However, I tried a quick version of this smoothie bowl with the same ingredients. In this case I let the smoothie rest for 10 minutes. It tasted equally delicious. 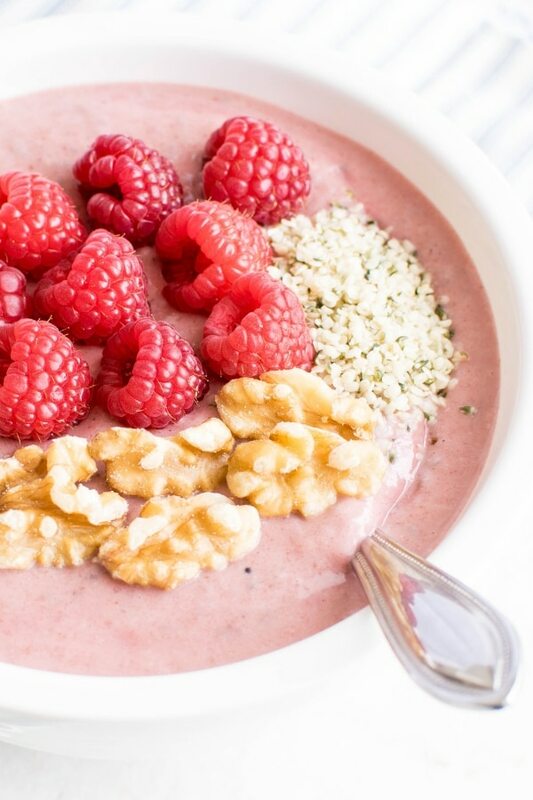 So, if you are rushing in the morning just blend this Chia Protein Raspberry Smoothie bowl in the night. If you have a relaxed morning then make it all fresh. Why Should We Eat Walnuts? 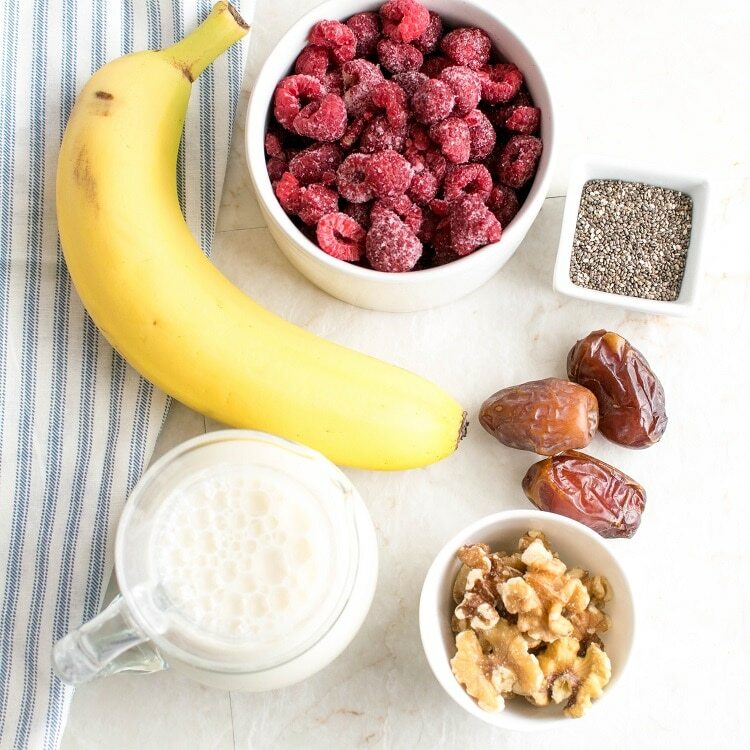 What a delicious idea for a smoothie bowl — very refreshing a well. We love a good smoothie.